Credit: Argonne National Laboratory and the Association for Computing Machinery. 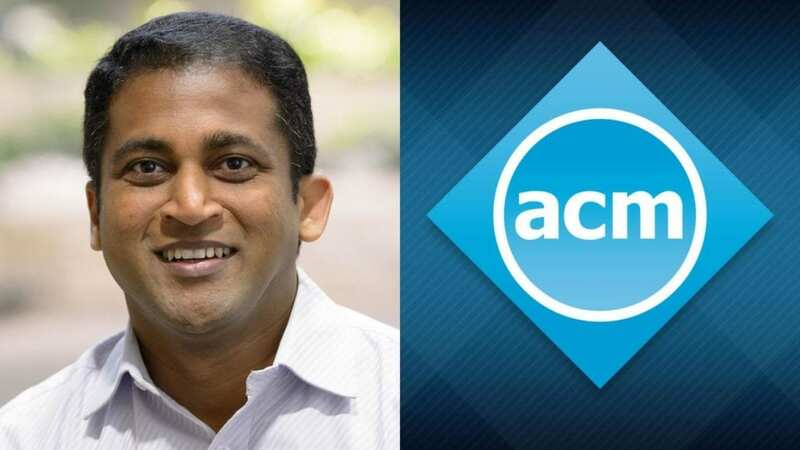 The Association for Computing Machinery (ACM) has named Raj Kettimuthu as a Distinguished Member in recognition of his engineering contributions to advancing the field of computing. Kettimuthu, a computer scientist with the Department of Energy's (DOE) Argonne National Laboratory, is one of 49 members selected for their extraordinary array of achievement, reflecting the many distinct areas of research and practice in the computing information technology fields. The ACM Distinguished Member program, initiated in 2006, recognizes up to 10 percent of its top members worldwide who have at least 15 years of professional experience and have made significant contributions to the computing field. Kettimuthu was recognized for his development of tools to analyze and enhance end-to-end data transfer performance. The primary focus of Kettimuthu's research has been the high-speed transfer of large-scale data, software-defined networking and rapid execution of data-intensive science workflows. He was technical lead of the Globus implementation of GridFTP, an extension of the traditional File Transfer Protocol (FTP) for grid computing, designed to provide a more reliable and high-performance file transfer. GridFTP has had an enormous impact, with tens of thousands of installations worldwide. Kettimuthu also was a leading collaborator in the development of Globus Online, a software-as-a-service solution that dramatically simplifies data movement, and was part of the Globus Online team that won an R&D 100 award in 2012. Recognizing the need for tools to manage terabyte-or-larger datasets, Kettimuthu also has recently served as co-principal investigator of two DOE projects on high-performance flows and intelligent network services. "I am proud to be selected by ACM for this recognition," Kettimuthu said. "I have found working at the frontiers of high-speed data transfer both exciting and challenging. I look forward to continued collaboration with colleagues on the development of techniques that will help scientists process huge amounts of data in real time." Kettimuthu received his B.E. from Anna University in Chennai, India, and his M.S. and Ph.D. from the Ohio State University. Currently a computer scientist in Argonne's Data Science and Learning division, he joined Argonne's Mathematics and Computer Science division in 2003 as a predoctoral appointee. His research interests include autonomic science infrastructure, modeling and optimizing distributed science workflows, real-time high performance computing, streaming large-scale data and quantum networks. For the official press release of the 2018 ACM Distinguished Members, see https://awards.acm.org/distinguished-members.